Have you all had the opportunity to hear about a great show that goes by the name of Almost Naked Animals. I recently had the opportunity to find out more about the great show when Childhood PR allowed me to review an awesome DVD. Almost Naked Animals is a Canadian animated television series that is produced for YTV and Cartoon Network. The series premiered on January 7, 2011 on the Canadian YTV and later on June 13, 2011 on the American Cartoon Network. The series was created by Noah Z. Jones The cartoon is about a group of animals that staff a tropical resort called the Banana Cabana. The animals have all shaved off their fur and wear only their underclothes. A dog named Howie is the leader of the group and each episode will follow Howie and his "misfit" and thier adventures. 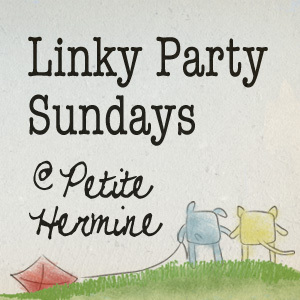 Lots of great fun can also be found on the "online super game" of the Almost Naked Animals to launch September 25, 2012. Cafe press has partnered to launch a new online store September 25 to feature tees, notebooks and more. The Banana Cabana is on Twitter and Facebook, too, so be sure to stop by and follow along in the fun! 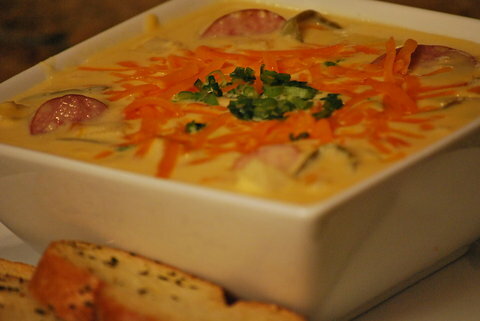 Soup is a great way to provide the family with a delicious meal. It is also a great time to take this type of recipe to family get togethers, tailgates or potlucks. Place the first 6 ingredients in a slow cooker. Add 3 cups of milk and the processed cheese cubes. Cover the slow cooker and cook on low for 2 to 3 hours, stirring often. Add a splash (or more) of beer and more milk if it gets too thick. Keep on warm setting until ready to serve. Top with shredded Cheddar cheese and scallions.You can also make this on the stovetop instead of in a slow cooker. Heat a large cast-iron or nonstick griddle or use 2 cast-iron or nonstick skillets Add the oil, bell peppers, onion, garlic, oregano, and crushed red pepper and season with salt. Cook over moderate heat, stirring occasionally, until the peppers are softened and just beginning to brown, 6 minutes. Push the vegetables to the back of the griddle, cover with an inverted heatproof bowl, and keep warm over low heat; stir occasionally as you cook the sausages. Prick the sausages with a knife and cook over moderate heat, turning occasionally, until no trace of pink remains, 10 minutes. Add the sausages to the vegetables and keep warm. Brush the rolls with oil and toast on the griddle. Fill the rolls with the sausages and peppers, cut each one in half, and serve. This is a rainy Aloha Friday mostly because of the trouble with Issaic. But all the same it is still a great way to get together with other bloggers to ask questions and give easy answers. So thank you to the blog An Island Life where you can join in on the fun of Aloha Friday as well. Recently I was able to check out the Monkey Mat. With two little precious ones the Princess and Prince The monkey matt is something that nanas like me could use. I was rather suprised by what I found when I checked it out. It folded up nicely into a pouch that is easily to carry where ever I go. 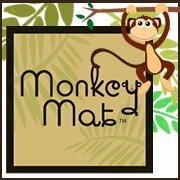 The Monkey Mat creator is Christie Barany (@MonkeyMatMama) Christie as a mom came up with this product after watching her kids playing around on the dirty airport floor. The monkey mat that she created was perfect because it was easy to tote around and gave the children a play area that they could easily play on and stay clean and safe. Monkey Mat is made from parachute nylon. This product takes a beating and because it is very strong it stands up to the beating and begs to be used more. The mat has loops on the corners so you can stake it down if needed or if you choose string it up and use it as a way to block the wind or rain. I love the mat is very versatile and can be used in a variety of ways. By the way the mat will not easily blow away thanks to the fact that the corners are weighted. HEAT oven to 350°F. Combine flour and 1/2 cup powdered sugar in medium bowl. Cut in butter with pastry blender or fork until mixture resembles coarse crumbs. Press in bottom of ungreased 13 x 9-inch pan. Bake 15 minutes or until set while making filling.COMBINE sweetened condensed milk, vanilla, cinnamon and egg in large bowl; blend well. Stir in remaining filling ingredients; mix well. Pour mixture over partially baked crust. BAKE an additional 35 to 40 minutes or until filling is set and top is golden brown. Cool 10 minutes. Run knife around sides of pan to loosen. Cool 1 hour or until completely cooled. COMBINE glaze ingredients in small bowl, adding enough coffee for desired drizzling consistency. Blend until smooth. Drizzle over bars. Let stand 10 minutes or until glaze is set. Cut into bars. Store in loosely covered container.